Although just about everyone on the planet wears an article of cotton each day, the story of cotton is far from every day. It spans centuries and continents, was the catalyst for some of the most important moments in modern history and exposes a multitude of ethical sins. 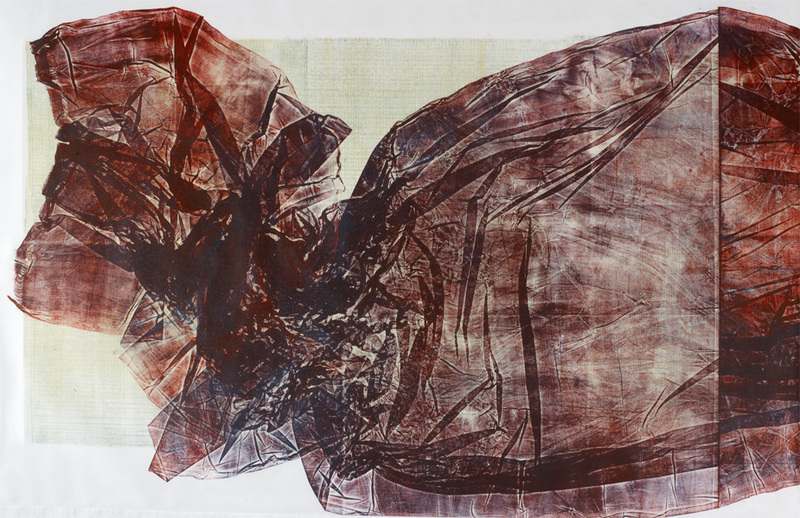 Inky traces of a sari physically crumpled through a press contrast with a delicately suspended sari wafting as projected images dance upon it. The viewer is seduced by the work even after the gallery has closed, with an intriguing LED and video projection illuminating the Victorian façade, red brick in the style of architecture common when Manchester was known as Cottonopolis. The outside, a magical weaving of light…inside…the mirroring of the film outside, creating a sort of Rorschach effect, there’s something mesmeric about it. 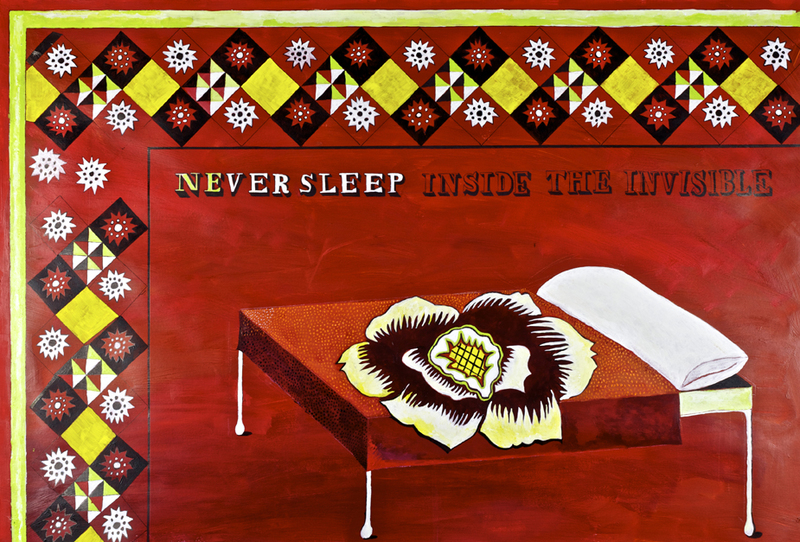 Artist interview with Lubaina Himid. Liza Lemsatef Cunningham discusses how the artist engages in ‘curatorial interventions’ with museums and her approach to collaboration to highlight neglected collection pieces. Liz Rideal‘s video projection and LED work Light Curtain, lighting up the windows of the Whitworth has captivated and intrigued those walking along Oxford Road after dark. The colorful imagery of fabrics and repetitive motion of weaving machines set against the red brick façade of the building brings to mind the ‘hour on the world’s stage’ that Manchester held as the capital of cotton through the Industrial Revolution. 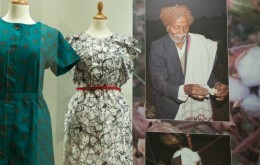 The juxtaposition indicates also at Lancashire’s relationship with India and its centuries of cotton production, which, as curator Jennifer Harris points out, has been described as the ‘Long Apprenticeship’. 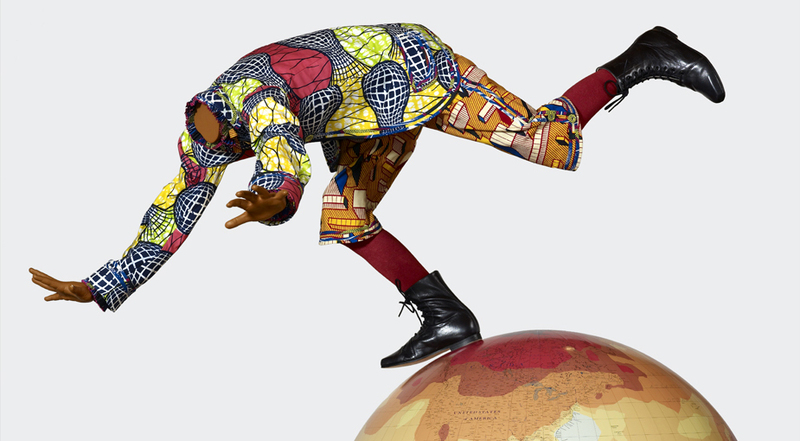 Curator Dr Jennifer Harris introduces the work of Abdoulaye Konaté featured in COTTON: Global Threads. 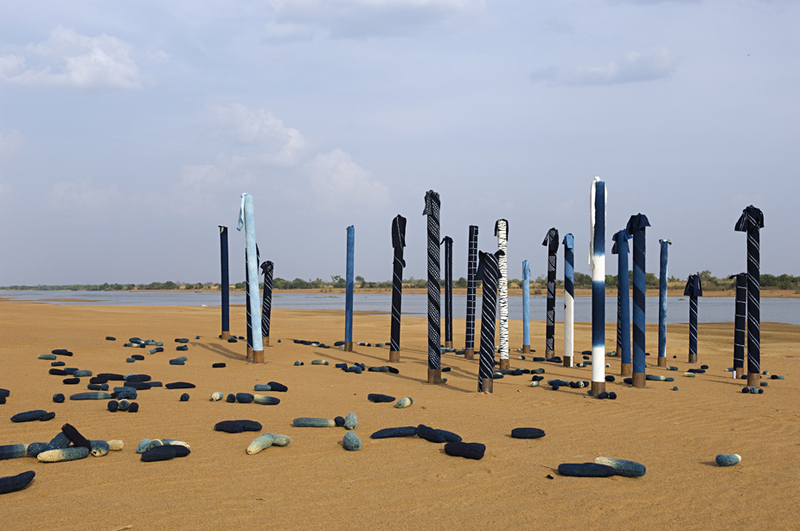 This Malian artist works with cotton and found objects to create beautiful large scale meditative pieces. 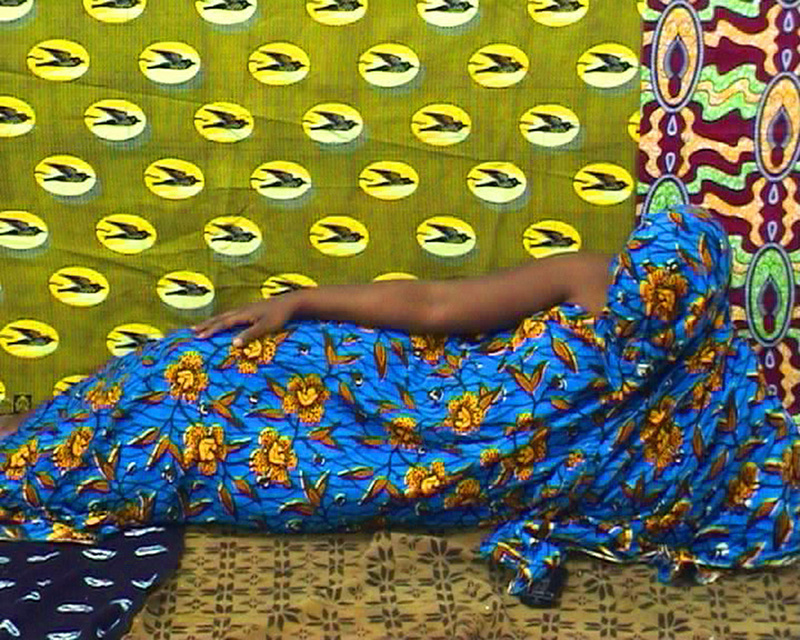 Konaté tackles themes of genocide referencing traditional techniques with powerful sociopolitical messages. A selection of Indian sample books by John Forbes Watson are on display in the Gulbenkian Gallery at the Whitworth. The volumes entitled The Textile Manufactures of India are part of the complex history of cotton and its global trade. 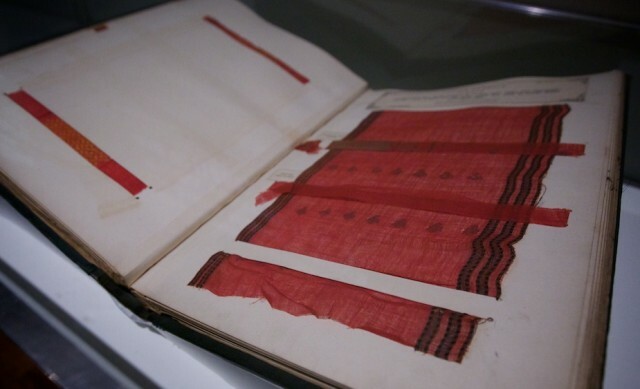 The books, containing annotated fabric samples, were compiled and disseminated to aid the Victorian textile industry, whose centre was based in Lancashire. By studying the sophisticated and harmonious patterns of South Asian textiles, the aim was to understand the market’s taste, replicate the fabrics cheaply using mechanized manufacturing techniques, and trade back to them, thus undercutting Indian hand woven fabrics. The Victorian urge to catalogue and create taxonomies, extended to fabrics here, arguably may have preserved otherwise lost patterns, even though to create the books Forbes Watson cut up many museum specimens. 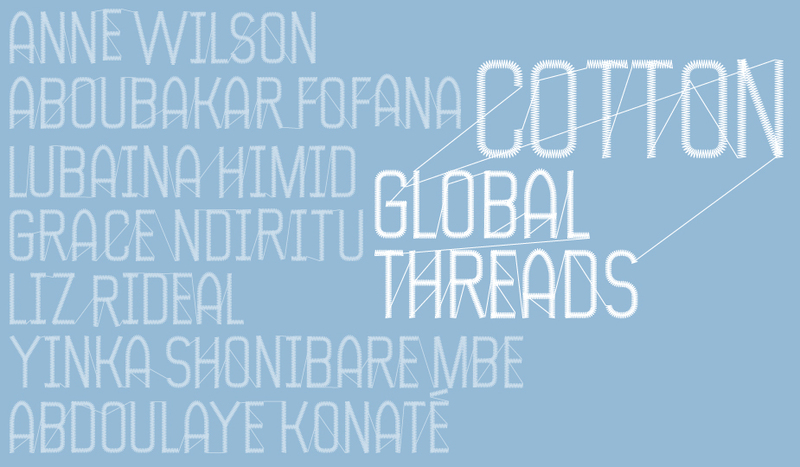 In this audio piece we focus on Indian textiles in COTTON: Global Threads. Curator Dr Jennifer Harris discusses the large scale Tipu’s Tent, presented as part of a range of textile treasures highlighting India’s considerable contribution to the history of cotton and global trade. 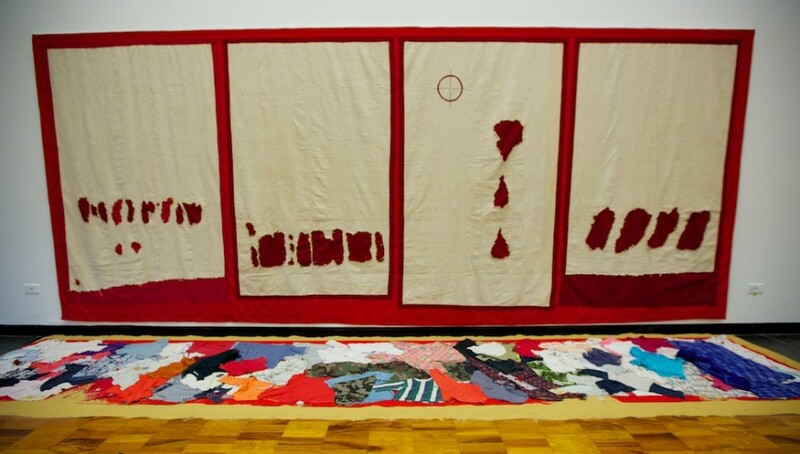 Juxtaposed with this is contemporary work by Liz Rideal, whose fascination with the textiles of India leads her to use Indian fabrics both as inspiration and raw material to create the artworks on display. 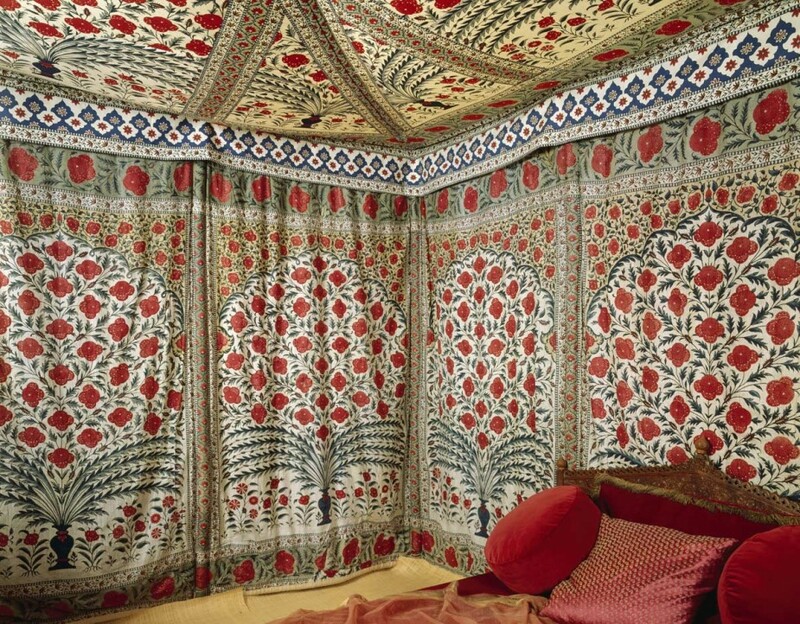 The tent was created for Mughal ruler Tipu Sultan Sahib of Mysore around 1725-50. 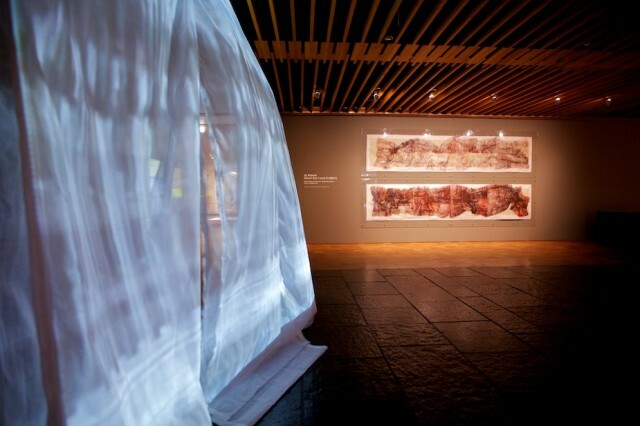 The entire tent is rectangular and was originally used as a mobile residence whilst advancing in his territories. The exterior as was common at the time is plain, but the interior is cotton chintz, richly decorated with a process of printing, painting and resist-dying. It features floral motifs in red and green, cleverly created by overpainting indigo blue with yellow dye. We want people to see the object and not our work,… actually if you can’t see our work, that means it worked. Listen below as we go behind-the-scenes with Ann French, conservator at Whitworth Art Gallery, whilst she explains some of the unique challenges she and her team had to face when preparing vintage textiles and costume for display in COTTON: Global Threads. In western culture the front of Tshirts have evolved into a space used for everything from jokes to political statements, to displaying allegiance to bands and fashion labels. Interestingly, in one of the display cases in the Moral Fibre section of the gallery, the curators have chosen to use this device to great effect. Eschewing the traditional gallery label in favour of emblazoning text across plain (organic!) 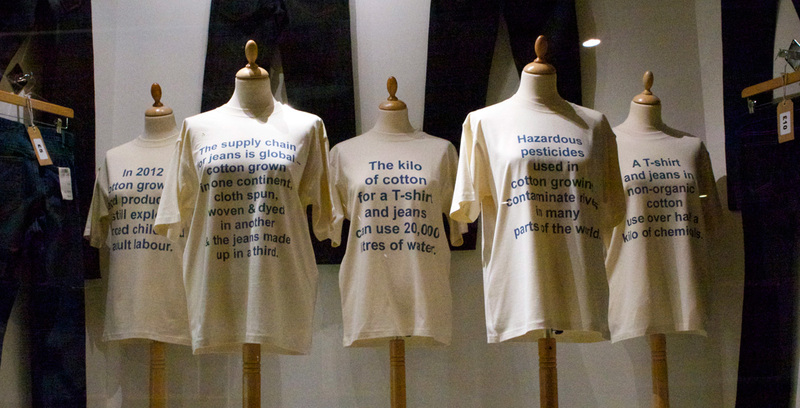 Tshirts, the resulting shirts provide an apt way of drawing attention to some incredible facts and figures surrounding ethical issues of cotton production. Moral Fibre is a section of the exhibition COTTON: Global Threads which draws attention to issues surrounding both the environmental impact of the global cotton industry, showcasing organic cotton, and the importance of ‘Fairtrade’ to improve the lives of cotton workers worldwide by providing a fair price for the cotton growers’ crop. The Fairtrade Foundation website has lots of interesting information and ideas, you can find out more about where to buy Fairtrade cotton, and many ways to get involved with supporting the cause including one easy action you can take to help cotton farmers right now! 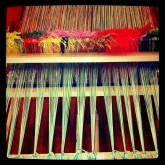 Join artist weaver Travis Meinolf in a three-way weaving race that will take place over four hours each day, totalling 20 hours race time. 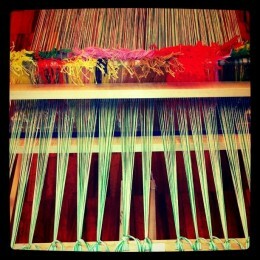 No experience is necessary, sign up to weave at the gallery, and hopefully everyone will get a chance to join the race. 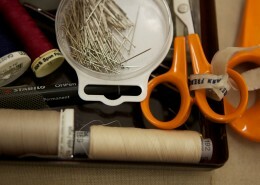 Teams will be made up of volunteer weavers representing three different economic philosophies. Weave Racers will declare their team affiliation and sign up on the roster provided, then weave at the appropriate loom for whatever time they can give or until the end-of-day bell sounds. The three teams are: The Capitalists, The Socialists, and The Artisans. The destination of the cloth they produce during the race will be different in each case. The length of the three cloths will be measured at the end of the fifth day and Gold, Silver, and Bronze medals awarded to each ideology as appropriate, in a short ceremony. 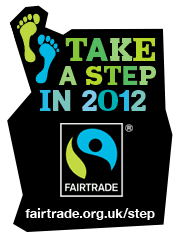 Fairtrade Fortnight is in full swing – have you registered your step towards ensuring a fair deal for the producers and traders of the everyday things we use? With a backlash against ‘fast fashion’ by media pundits such as Lucy Siegle and an increasingly savvy consumer base interested in the provenance of the things we buy, organic and Fairtrade products are coming to the fore. 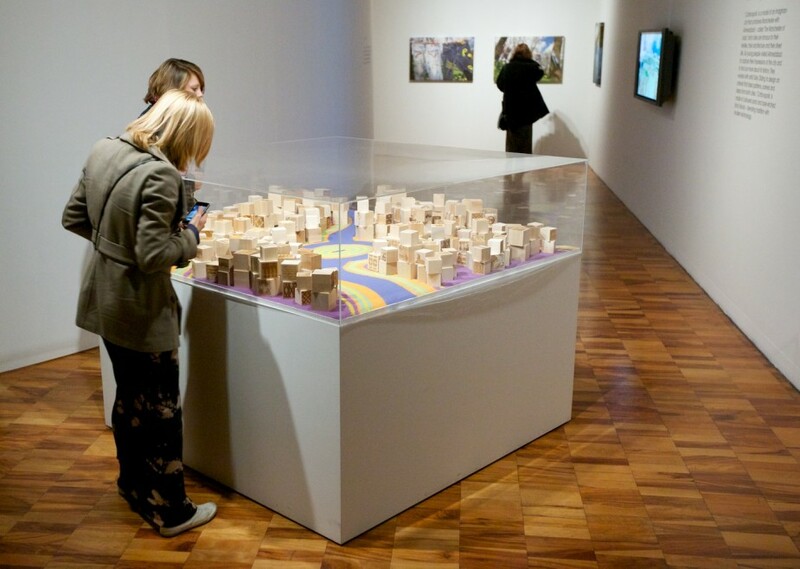 Recorded in situ with Liza Lemsatef Cunningham at the Whitworth Art Gallery.